As the federal IT community braces for new administration, experts see new IT initiatives on hold, but have hopes for acquisition reform and modernization efforts. Ahead of a new presidential administration and the shuffling of political leadership across the executive branch, the federal IT community is bracing for a major upheaval that will likely halt the launch of major new projects and could even derail current initiatives. Regardless of who wins the White House on Tuesday, the transition from one administration to the next has a chilling effect on IT activity within the agencies, even if those projects are mostly overseen by career, non-political personnel. "Obviously, it will vary significantly from agency to agency, but generally it is quite disruptive," says Richard Spires, the former CIO of the Department of Homeland Security who now serves as CEO of the IT training firm Learning Tree International. For starters, many CIOs today are political appointees who will exit the government Jan. 20, 2017. For those who stay on, and their career deputy CIOs and other non-political personnel, the transition process can create a holding pattern where there is little motivation to launch new projects before the incoming leaders assess the agency's operations and formulate their own priorities. "No one wants to be out in front of where the new political leadership wants to go," says Steve Bennett, director of the global government practice at SAS, and analytics software provider, and the former director of the National Biosurveillance Integration Center at DHS. Observers point out that the extent to which an agency or a smaller organizational unit is upended by the presidential transition can be the product of how insulated it is from the political element. Bureaus and sub-agencies with few political appointees in their direct leadership can expect to enjoy more continuity than the segments of the government with more political leadership. And at their core, most IT issues aren't especially political matters. 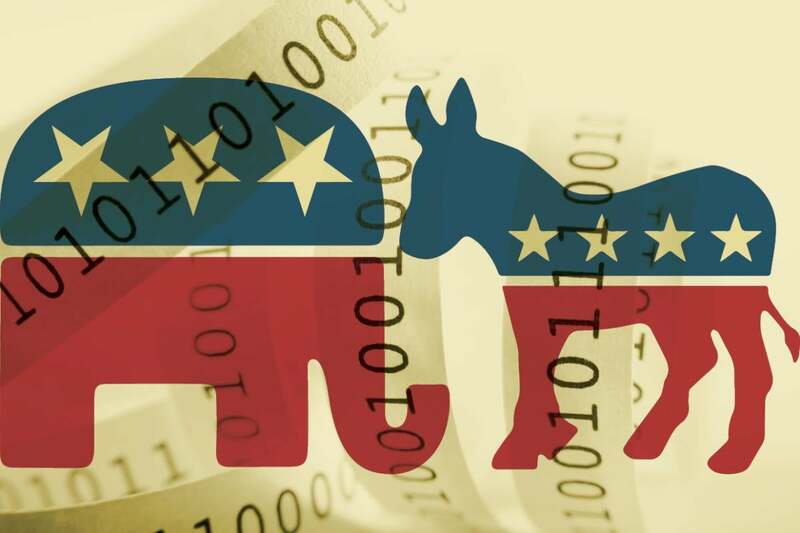 "The only partisanship in the IT shop tends to be Android or iPhone, not so much Democrat or Republican," Bennett says. Experts don't anticipate that the new administration will abandon some of the hallmarks of the Obama team's IT reform efforts -- sweeping programs like consolidating data centers and moving systems and applications to the cloud. But at a more granular level, it wouldn't be surprising to see new leaders scrutinize and perhaps even scrap particular IT initiatives. "Sometimes new administrations come in and they stop projects that are underway," Bennett says. "Often the transition will occur in the middle of the deployment of a project that will get stopped. Operationally that can create a lot of turmoil in an IT organization." Federal CIO Tony Scott is aiming to ease the transition with a forthcoming assessment of the government's technology reform efforts billed as an IT report card. Scott did not respond to a request for comment on the report, but industry officials familiar with the effort say that it aims to offer a candid assessment of the current state of federal IT that could help orient the incoming CIO and make for a smoother handoff, should Scott opt to exit the government, than he experienced when he took over the job from his predecessor. "I think that's intended to be his sort of parting gift to whatever the new administration is," says Rick Holgate, the former CIO at the Bureau of Alcohol, Tobacco, Firearms and Explosives, who is now a research director focusing on the federal government at Gartner, which is helping Scott's office prepare the report card. Holgate anticipates that the report will be completed by year end. Scott has generally been well regarded by industry groups working with the government. MeriTalk, a public-private partnership focused on government IT, has started a petition campaign calling for Scott to stay on as the federal CIO into the next administration. Holgate does not expect that effort to succeed. "Unless he's talked into it, Tony's probably likely to step aside in the not-too-distant future," he says. But whether Scott stays on or not, the CIOs who do continue into the new administration can expect to spend a considerable amount of time educating the new leadership about the operations of the agency. "For them to really understand how it works and how you get things done, that's a long process," Spires says. "That lack of continuity really makes it very difficult for CIOs and IT organization in general to carry out longer term IT modernization initiatives." Spires is hopeful that, assuming Scott steps down, his successor and the officials who occupy senior spots at the Office of Management and Budget continue to press agencies on implementing the Federal IT Acquisition Reform Act, or FITARA, a sweeping overhaul of government technology operations that included provisions aimed at enhancing the role of the agency CIO. The presidential transition presents a unique opportunity on that front, according to Holgate, who sees the chance for CIOs to introduce themselves to the incoming agency leadership and advocate for "the CIO being viewed as a support function or an administrative function to being viewed more strategically as aligned with and in support of the organization mission."